“This Milk Tastes Good” is a children’s book about breastfeeding in which the child imagines that her mother’s milk tastes like all the things that she sees her mother eating. This is a joint giveaway with Lactation Narration and Natural Parents Network. You may enter at one site only. Please find the section marked “Win it!” for the mandatory entry and optional bonus entries. JhaZamoraS Publishing is offering our readers a giveaway of “This Milk Tastes Good” plus 4 greeting cards, a value of $28. “This Milk Tastes Good” is a children’s book about breastfeeding in which the child imagines that her mother’s milk tastes like all the things that she sees her mother eating. The greeting cards feature illustrations from the book. 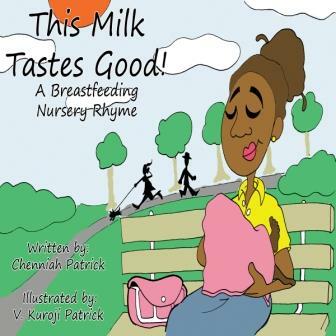 “This Milk Tastes Good” is written by Chenniah Patrick and illustrated by her husband, V. Kuroji Patrick. This children’s book features a black family which consists of a mother, father, and baby. The baby appears about 9 months old to me and is fairly androgynous, but my older daughter decided that the baby was a girl because she wears earrings. The baby is shown nursing, both with a cover-up at the park and without one at home. The father is shown supporting the mother and bonding with baby, and at one point thawing a bag of frozen “Mama’s Milk” as well, but no bottle imagery is shown on the page. Overall, the imagery in this book helps to normalize breastfeeding. The baby is also shown being worn by both mom and dad. Babywearing enthusiasts may notice that the baby is worn facing outward in a “crotch-dangler” style carrier. I am always happy to find a book that features breastfeeding to read with my nursing toddler. My 3 year old liked this book immediately and after the first read-through was reciting “This milk tastes good, this milk tastes yummy”. I think that she is in a good age range for this book based on the length of the book (12 pages with words) and the amount of words on each page (2 lines). There were enough words to keep her attention – not too few to be bored, and not too many to be restless. 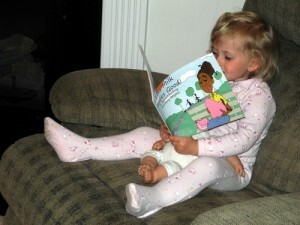 After I read the book to her, she decided to “read” it to her baby doll. Of course I like that this book normalizes breastfeeding, and I think it is noteworthy that it does so with a black family. I also liked that the father was included in this story about breast milk, and shown to be involved and supportive of breastfeeding too. The father is shown wearing baby, grocery shopping, reading to baby, and thawing frozen breastmilk. My main problem with this book is that it is a paperback as opposed to a board book. For the age range that I would expect this book to be most popular with, a paperback is more likely to get accidentally torn. My daughter played with this book by herself for about 10 minutes and didn’t rip it though, so maybe I am just not giving her enough credit. You can purchase your own copy of “This Milk Tastes Good” at JhaZamoraS Publishing for $15.99 + tax + shipping. For your own chance to win a copy of “This Milk Tastes Good” from JhaZamoraS Publishing, enter by leaving a comment and using our Rafflecopter system below. The winner will receive one copy of “This Milk Tastes Good” plus four greeting cards which feature illustrations from the book and breastfeeding quotes. Contest is open WORLDWIDE. MANDATORY ENTRY: Visit JhaZamoraS Publishing and tell us one thing you have learned about the company! You must enter your name and email address in the Rafflecopter entry system for your entry to count, after leaving a comment on this blog post. 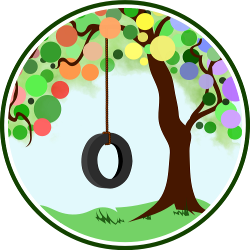 This is a joint giveaway with Lactation Narration and Natural Parents Network. You may enter at one site only, and we’ll be recording IP addresses to ensure that there are no duplicate entries. That said, please do visit and enjoy both sites! Contest closes 6/16 at 11:59 p.m. Eastern Time. Alicia is mother to two girls, age 6 and 3. She has breastfed them both while working full-time as a bench scientist in immunology. 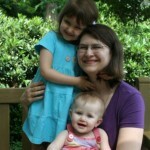 She writes about breastfeeding at Lactation Narration and special needs at My Baby Sweets. She is particularly interested in extended breastfeeding, tandem nursing, pumping at work, nursing in public, the science of lactation, and breastfeeding advocacy. I learned it was started by a husband and wife team! That Kwanzaa book looked great too! My little 2 year old nursaholic would love this book!